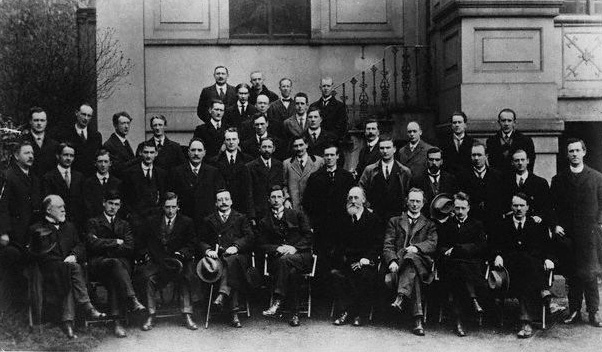 On January 21st 1919, the Sinn Féin MPs who were neither on-the-run from British Authorities or already in prison convened the first meeting of the Assembly of Ireland, the Dáil Éireann, in Dublin’s Mansion House. This has been an election promise of the Sinn Féin party in the 1918 General Election, in which the party had won 73 (48 by ballot, 25 uncontested) of the 105 seats available in Ireland. 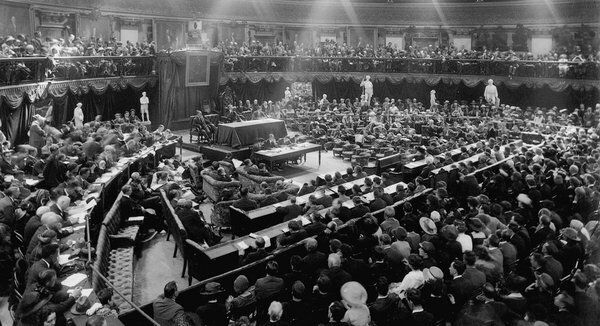 The 26 Unionist MPs and the six from the IPP refused to recognise the Dáil, and thus were never going to attend. Taking this (and the other absentees) into account, only 27 deputies were listed as ‘present’. Even this number may not be completely accurate, however, as two members are neither marked as present or absent – and one of them made a speech on the day! 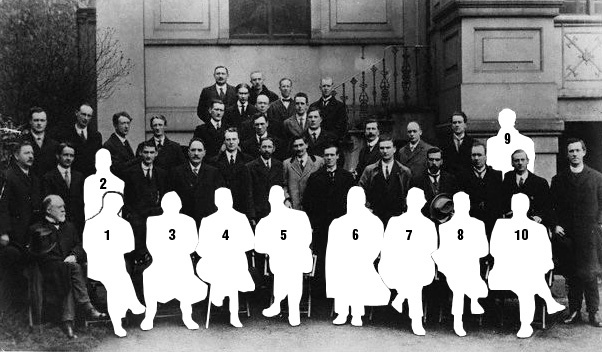 As part of out impromptu History Week here on the quiz blog, we ask you to identify these famous attendees on that significant day. Click more to see the pics. À la the inlay to Sgt. Pepper’s, simply use the following photo to identify the men marked in the second pic.